An old-school paper 'zine... is here! 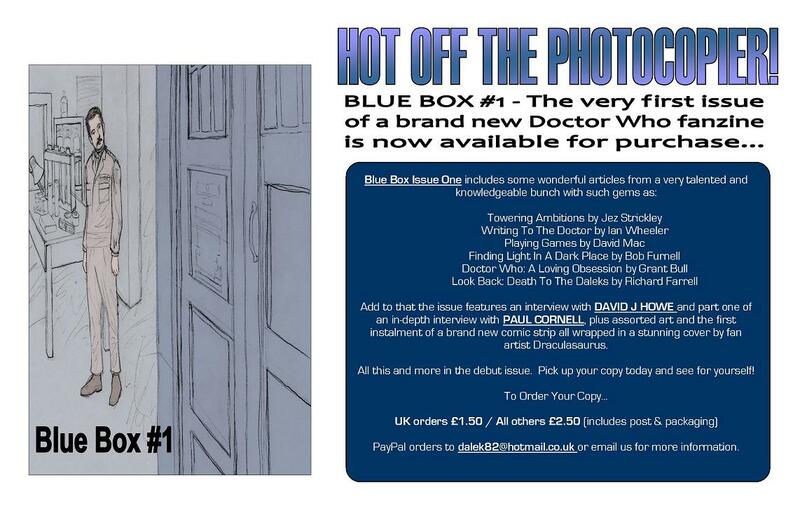 I have had a wonderful response to #1 we are now heading towards the 50 copies sold mark and I have to say I am a little overwhelmed! 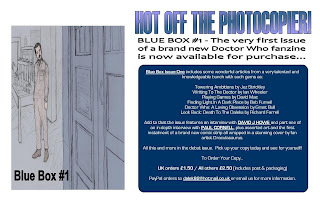 I expected Blue Box to creep out and maybe catch the attention of a couple of people but instead there has been a great interest and some very positive feedback to accompany it. So I thank you all for you interest, feedback and purchases, it is all much appreciated. There are still more copies available so please if you feel compelled too spread the word and support the paper fanzine movement!